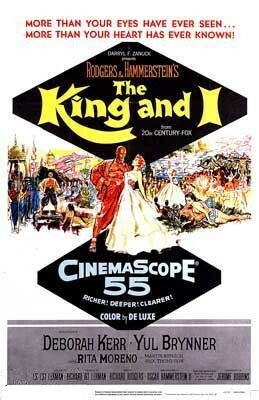 This film was banned in Thailand – not because it was boring people to death but because the authorities didn’t like the way the king was portrayed. On 30th October, The Guardian/Observer published the news that the state of Thailand “has begun a search for people deemed to have defamed its monarchy in the wake of the king’s death, investigating 20 new criminal cases and seeking to extradite suspects from abroad” (here). The following article published in French a week ago puts this in context. The King of Thailand, Bhumibol Adulyadej (Rama IX alias) has died. More than a king, he was the Devaraja, the God-King of Theravada Buddhism, the state religion of Thailand and of the historical monarchies of Southeast Asia (Siam, Burma, Laos, Cambodia) which established their centres in the rice plain regions. Having ascended to the throne there seventy years ago, he has since given his blessing to all authoritarian regimes that have held power in Thailand, mostly linked to generals. Whilst Thailand enjoyed some social unrest in the 20s and 30s (eg with many strikes, especially in Bangkok), the cult of the God-King was brought up to date and modernised as a function of the needs of capitalist development for the country and of the social control of the population after World War ll. This was coupled with the promotion of a fervent nationalism, through the construction of the Thai nation around a national identity. Thailand, unlike its neighbours, was never colonised. During the Cold War, it served as a base for the CIA for its operations in neighbouring countries, and a flow of foreign capital (American and Japanese), at that time, permitted the “modernisation” of its economy, and the development of modern relations of exploitation – the wages system – via the exodus from the countryside. In this way, reinforcing the cult of the God-King allowed the rulers there to develop their legitimacy by positioning themselves in the wake of a king coming from an ancient dynasty, that of the Chakri, itself an indirect descendant of previous dynasties. It was especially during the regime of General Sarit Thanarat (1958-1963) that the monarchy was strengthened, in a partnership that benefited Bhumibol as well as the military. 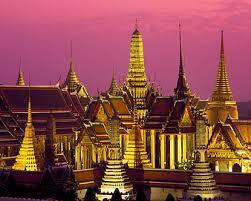 Rama IX has since become the richest monarch in the world. There is talk of a fortune seventy times that of the Queen of England. The largest landowner in the country, the head of lucrative businesses, his status is not only symbolic, it is also perfectly compatible with capitalist relations. On the religious side, the King appoints the leaders of the Sangha, the Buddhist clergy, and has put into effect a development that allowed him to attain a status which, in the eyes of the Thais, placed him above Buddha himself 1 . All this on top of a hierarchical pyramid which defines precisely the position of each individual in society. All Thais are subject at birth to this very strict social hierarchy and propaganda that bombards them with an infantilising worship of the royal family. Alienation in this area penetrates deep: a dress code for several days a week dedicated to the King and his wife Queen Sirikit (yellow and blue polo shirts respectively), wearing an orange wristband out of love of the monarch, a photo of the royal family in all homes and public places, etc. The Thai language is replete with references to the monarchy, and contemporary Thai culture has widely incorporated the cult of the divine monarchy. Thai Theravada Buddhism is in charge of instilling self-sacrifice and respect for the powerful amongst the poor of Thailand whilst providing full support to the promoters of the commodity. This is the scam of karma: the more money one has, the more one can afford to donate to temples, thus ensuring oneself a pleasant daily life in the next lives (according to the cycle of reincarnations). Hence the incredible kitschy temples that bloom everywhere, and the very religious cult of the commodity in the “land of smiles”. 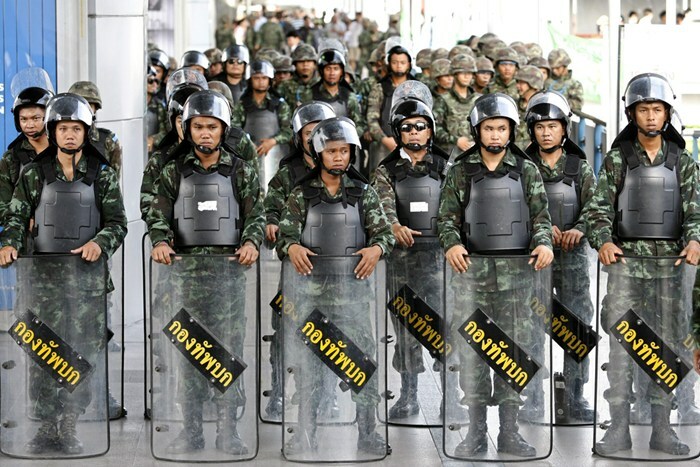 Since King Bhumibol’s accession to the throne, the order of things has never seriously been threatened in Thailand. Even the movements of Communist guerrillas close to Maoism in some areas in the 1970s did not directly attack the personality and status of the King2. No more than do emerging political movements (the “Red Shirts”) who give a gloss of protest in order to gain power through the mobilisation of people from the countryside, often shamelessly manipulated. 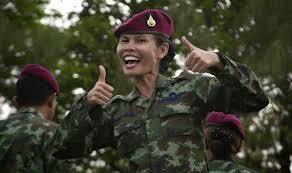 Their exiled leader Thaksin Shinawatra is a wealthy tycoon, former police colonel and former prime minister. His “war on drugs” had impressed itself on people in 2003 – between two and three thousand died in extrajudicial executions. Those who know Thailand know that all public comments critical of the King fall within the domain of the impossible, and would mean the suicide of its author. Even in people’s homes critiques are rare, and you’d be well-advised not to risk asking, even innocently, what people think of their King. Adhesion to the dominant ideology in Thailand is such that there are few frank expressions of revolt against the system, whether individual or collective. Theravada Buddhism promotes indifference to the fate of others, and the submission of the individual to his fate, in a logic of wholeness and harmony. Hence the naive goody goody ideology of fate, the Mai pen rai (“never mind”) and the Sabai Sabai (“happy, happy”), current phrases repeated in a loop by the authorities, by tourists and by Thais themselves, that go perfectly with submission and exploitation. In this context, struggles that have some continuity are rare, as the ramifications of authority are strong and well established (with cronyism and the influence of local paternalistic leaders, called chao pho). Collective movements, for example around the defence of the land against development projects are generally quickly brought under the control of power, due to the lack of solidarity that enables a real combative spirit and to stand ones ground against repression and power. When determined individuals appear, they are simply eliminated. Given this context the invasion of the commodity which has brought a good economic situation to the country is hardly threatened by the level of class struggle. This leaves the field open to the rulers to maintain a maximum level of exploitation of women and men, which is even worse when it comes to migrants from neighbouring countries. And the worst manifestations of social horror remain almost unchanged since the 70s: human trafficking, mass prostitution, massacres of migrants, etc. In an incredible passage of a documentary in English on the famous Bang Kwang Prison3 , nicknamed the “Bangkok Hilton” ironically – because of its medieval conditions of imprisonment, an embarrassed prison guard explains that a wing of the jail contains a thousand prisoners for less than fifteen guards, and if the prisoners were to decide to do something, their jailers could not do much… Yet prison revolts are very unusual in Thailand, which says a great deal about the ongoing alienation and submission. Bhumibol died in bed without having to be worried by criticism from his subjects. Everything indicates that his death will be followed by a long postmortem cult that could prolong the current alienation, even if Maha Vajiralongkorn, the son and designated successor to Rama IX, is pretty much hated by most. It is up to rebels to seize the flaws in the system that oppresses and exploits them, and to deepen the existing contradictions in fights that get rid of mediations, and lead to an increasingly powerful critique of the state of things. 2 With the exception of the Marxist intellectual and activist Phumisak Jit, close to the CPT (Communist Party of Thailand), killed (almost certainly be sections of the state) in hiding in 1966. Secondly, in a country where any criticism of the king is subject to an absolute taboo nationally, here we see that it is the “crazy man” (in this case a man who says he can communicate telepathically with the former Prime Minister) who has targeted major social taboos in the most straightforward way. The man in question tore a King’s portrait at the entrance of his village with a knife (the country is covered with such portraits, which are also found in all forms of housing). This is, to our knowledge, the most radical gesture directed against the King since he was installed on the throne of the land of smiles, 69 years ago. See also this (in French) which speaks of a man in Thailand risking 37 years in prison for making fun of the King’s dog on Facebook. Or this, in English, which reports the 30 year prison sentence for someone who insulted the King on Facebook.